What is Deep Water Culture and how to get started with it? 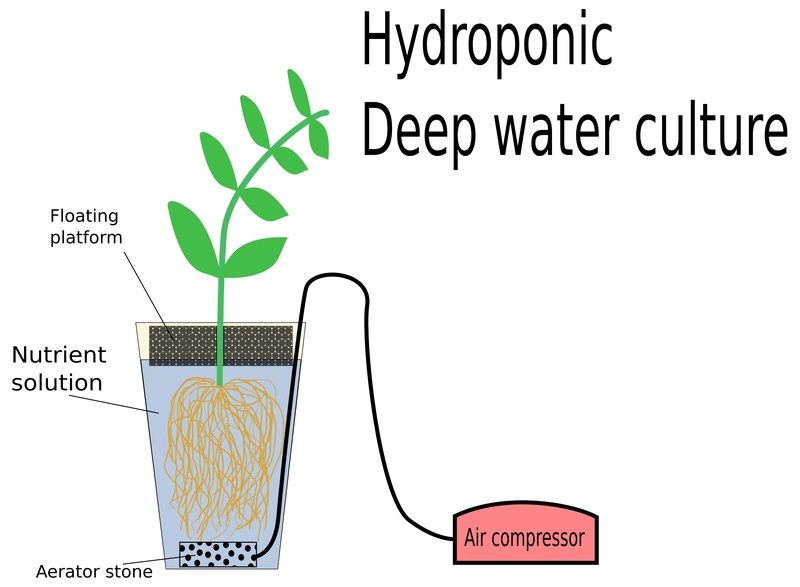 If someone is new to growing plants by using the hydroponic technique, the term “Deep Water Culture” might sound like some technical jargon. Compared to the traditional forms of growing plants through soil, hydroponics seems to be much more complex, but reality is anything but. There are many different ways of hydroponic gardening such as deep water culture, nutrient film technique, ebb and flow. These terms are again, very technical on the face value but when you break it down, it is quite simple. One of the most prominent types of hydroponic gardening technique is called Deep Water Culture or DWC in short. Oxygen: Normally, roots receive oxygen from the soil itself. Since soil is full of pores, that is where the oxygen resides. There has to be an ample amount of oxygen in the solution so that the plants do not die. Water: Every living thing on the planet needs water. The benefit of hydroponic gardening is, that the plants do not need to be watered constantly unlike in traditional, soil gardening. Just water them once and they will not need to be watered again. Nutrients: Soil contains many macro and micro level nutrients which are imperative for a plant’s survival. Now, since the set up does not have soil, the oxygenated water needs to be supplemented with artificial nutrients so that the plants can survive and thrive. There are two major reasons why it is called Deep Water Culture, the first reason being that these plants are grown in a reservoir that has quite a large amount of water. This means freedom from the hassle of watering the plants again and again. The other reason is that the roots are submerged in water 24 hours and 7 days a week. Some of the hydroponic techniques suggest that the roots of the plants should be left out (at least some portion of them). DWC has the roots submerged all the time, hence the name. Plants grow extremely fast in it. Very little movable parts and assembly are required. The method is very easy; just simply connect the pump and the tubing which would then be collectively connected to the airstone. The airstone is then placed into the bucket. Bucket should be filled with water, nutrients and the seeds. Once the plants start the process of germinating, the roots will start to hit the water. Then the explosive growth of the plants will be noticeable. One way of making the process faster is to fill the water to the brim as soon as the seeds start to germinate.